Ecrit par Bekir YILDIRIM, le Jeudi 7 Février 2019 à 11h30. The automation of work is a problem that humanity has been trying to answer since the beginning of time. Now that machines are developed enough to make a factory profitable or easier to do, there is the question of automating our thinking process. As you’ve probably noticed, many companies are now using Chatbots to automate part of the transformation from a prospect to a customer. Although close, these Chatbots are not to be confused with an AI. They are only programmed to respond to a tree of possibilities. The goal is to determine your problem for the advisor or salesperson who will take your request in hand. There is no learning from Chatbots, he seems to assimilate your request, but he does not learn. A tool more than enough when it comes to treat something simple as a request for information (banks, insurance, real estate, etc. ), and which is close to an Artificial Intelligence. What will really differentiate a Chatbots from an AI is its ability to learn. AI will search, analyze, understand and store new information for reuse. Google, for example, uses it to automatically rank the results of its search engine. Most sites also use it to detect fraud or anomalies in the data. In short, an AI can be used to automate and process anything that has too much data for humans. If you had to take care of sorting sites on Google based on SEO data, one life would not be enough. 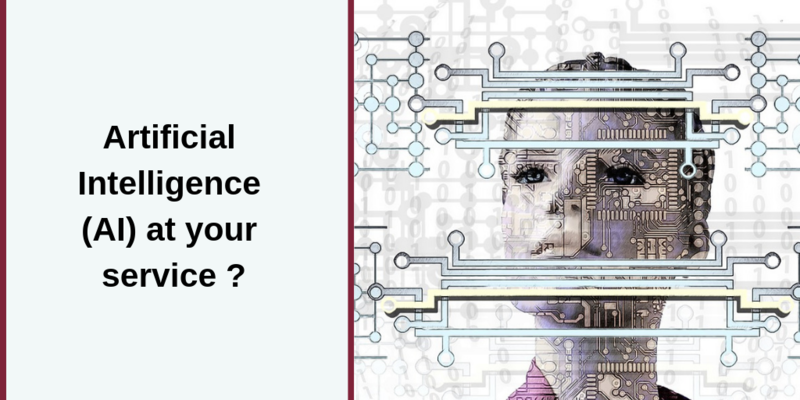 So it is clear that whatever the activity of your company, a Chatbots or an AI can considerably help you. They will process and store the data you need to grow, without asking for time or money from you. But now consider one thing : Whatever the business, there is a 99% chance that a start- up is trying to automate it now. According to scientists, a doctor can be replaced by a machine in 50 years. These are ENTIERS trade (jobs) groups that are destined to disappear. What does this mean for humanity ? Are we approaching a new social revolution? As for you, do you plan to use a form of AI for your company in the near future? Will it really help you ? If yes, how ? Article précédentInterview de Benjamin Terrier, le fondateur de l’agence Digital Marketing 66 ! Article suivantCharte graphique : l’image d’une entreprise ! 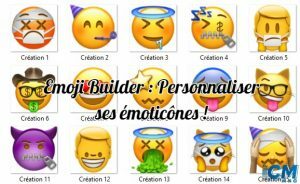 Emoji Builder : Personnaliser ses émoticônes ! SEO : les outils pour un bon référencement sur Google !